Qualcomm Snapdragon 712 vs Snapdragon 710: Which one is better? This blogs is just about a newly launched Chipset, i.e. 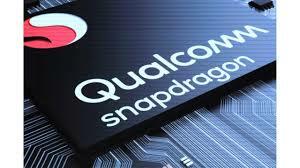 Qualcomm Snapdragon 712. We do here a comparative study about this chipset with the previous Snapdragon 710. In the section of “Qualcomm Snapdragon 712 vs Snapdragon 710” we are going to deal about every possible thing about the two to help you to determine which one is better for you. For your information, the Chipsets are responsible for well performances of device. It controls communications between the processor and external devices. The Qualcomm is one of the famous names in the field of the Chipset manufacturer. It is especially known for its Chipset on Smartphone. The Qualcomm’s chipset has the 6xxx series for its mid-range products whereas 8xxx series for the high range flagship devices. However, the company had previously launched Snapdragon 710 of 7xxx series. After a good response of the Snapdragon 710, the Company has launched the Snapdreagon 712 with by adding with more features. Let us know in details what the things in the newly chipset Snapdragon 712 that differ it from the previously Snapdragon 710. Snapdragon 712 looks almost similar on this ground with comparison to Snapdragon 712. Both have the company owned AI, dubbed as Qualcomm Hexagon 685 DSP. The SoCs of the both has 3rd generation vector extension and All-Wave Aware Sensor Hub. They have the Qualcomm Neural Processing SDK along with Cafee, Caffe2, Tensorflow, Tensorflow Lite and other framework support which make the processor universally acceptance. As the Snapdragon 712 has just the same component to handle the Artificial Intelligence task, it will also not going to compete MediaTek P series AI powerhouse. Snapdragon 712 is built on the 10nm FinFET technology. It has octa-core chipset. It features 8 kryo 360 cores with each core running at 2.30GHz. Comparatively, it has slightly higher power speed than that of Snapdragon 710 (2.20GHz). According to chipset setter, the newly launched chipset offer up to 10 % performance boost as compared to Snapdragon 710. Camera: The Snapdragon 712 supports for 32-megapixel single camera sensor or 20-megapixel dual camera set up. It has the same spectra 250 ISP for imaging. It does not support for the 48-megapixel camera senor. The Snapdragon 710 is just the same in camera perspective having the same 32-megapixel single camera sensor or 20-megapixel dual camera set up. RAM: Snapdragon 712 and the Snapdragon both are similar on this field. The both will support both UFS2.1/EMMC5.1 based storage and I IGB of system cache. DISPLAY: Both have the same Quad HD+ (3360×1440) HDR HD and nothing the new in this arena as well. The Snapdragon has X15 LTE modem. The modem can support LTE Cat-15 and a speed of up to 800MBPS and 150 MBPS for the download and the upload respectively. It supports QualComm Quick Charge 4+ for the charging with a charging speed of 50% per minutes. It supports for other options like Dual 4G Volte, Dual Band WIFI, Bluetooth 5.0, USB 3.1, Type-C, NFC, GPS is also given. On the other hand, the Snapdragon 710 come under the same model Snapdragon X15 under the processor can provide up to 600 MBPS and 150 MBPS of download and upload respectively. It has only QC4 support. Also, it has only the options like Dual 4G VoLTE, WIFI, Bluetooth, GPS, and FM Radio etc. If you take our opinion, certainly the newly Chipset has a great performing speed than the Snapdragon 710. In all other ground, the both are quite similar, however, the little gap that make Snapdragon 712 superior to the Snapdragon 710. What you think, share your thought on the comment section.